Obtaining funds through conventional financial institutions is certainly not easy. In a survey conducted in 2014, about 63% of business owners stated that they applied for the loans through banks. However, the success rate of obtaining the loan was just 27%. When it comes to obtaining loans to fund new or existing businesses with a bad credit score, the chances are even low. That being said, you do not have to give up your plan of funding your entrepreneurial idea. Below are three tips that can help you in obtaining the required loans to fund your small business. Small business loans are small loans that are offered to individuals and firms that lack collateral or do not have a high credit score. Many lenders issue these loans at lenient terms and conditions. The loan amount is ideal for funding start-up that costs around $50,000 or less. The microloans can be obtained to purchase inventory, equipment, furniture, and pay salaries. You can also use these loans to pay salaries and for marketing and promotional expenses. Lenders that offer small business loans do not place strict requirements on the use of funds. However, you may be required to submit a detailed business plan. If your business plan looks promising, you may obtain the loan easily in as little as two days. The best thing about these small business loans is that the repayment is usually linked to the revenues. This gives greater flexibility and ease in repayment of the loan amount. Another option to obtain funds with a bad credit score is to apply for crowdfunding. A number of sites have literally served as incubators for some of the most successful business startups. The crowdfunding is the process of obtaining funds from a large number of people. The investors own a share in the project based on their invested capital. Individuals with a bad credit can use crowdfunding sites to obtain the required loans to fund their entrepreneurial ideas. Some of the great crowdfunding sites include Kickstarter, Indiegogo and Crowdfunder. Merchant cash advance program is yet another option for individuals with bad credit. The cash advance program offers a quick, affordable, and effortless way for individuals to obtain small business loans. 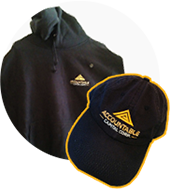 Accountable Capital offers merchant cash advance program that is specially designed for small business owners. The process of obtaining the loan is fast and hassle free. Once you qualify for the loan, the amount can be immediately wired to your account. You can contact us if you want to know more about obtaining loans with a bad credit score. Our expert team of professionals will guide you in obtaining the funds easily and at a low cost. Disclaimer Notice: The article/blog is intended for informational purposes only. You should not make any financial decision without consulting with a financial expert first. DOES YOUR BUSINESS NEED CASH NOW? How to Obtain Loans to Improve Working Capital for a Business with Bad Credit? How to Obtain Business Finance for Health Care Business?